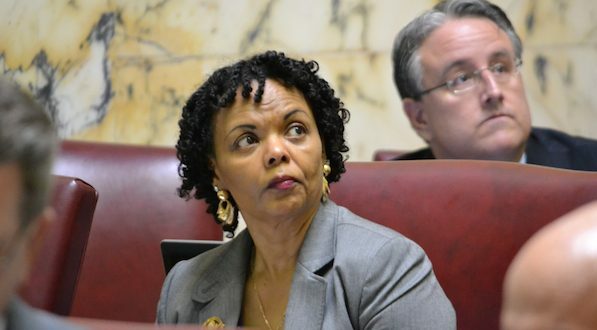 Sen. Verna L. Jones-Rodwell announced Monday she will retire rather than seek re-election to the Maryland Senate. The three-term Baltimore Democrat made the surprise announcement after what she said was months of reflection on what would be her ultimate political future. Jones-Rodwell, 58, filed last fall for re-election in a newly drawn district, two-thirds of which is in western Baltimore County. Her current district, drawn during the 2002 redistricting process, was completely within the city border. Jones-Rodwell was first elected to the House of Delegates in 1998 and served one term before running for Senate where she challenged incumbent Sen. Clarence M. Mitchell IV. Jones-Rodwell was expected to face a challenge by Del. Shirley Nathan-Pulliam, 74, first elected in 1994. Nathan-Pulliam had the backing of Democratic Sen. Delores G. Kelley. Jones-Rodwell, who is currently a full-time legislator, said that she was up for the challenge of a tough-re-election campaign but ultimately decided she didn’t want to serve another four years in the Senate. “I physically couldn’t do it,” Jones-Rodewell said, later stressing that she is not ill.
Jones-Rodwell said she has not fully mapped out her next step but will continue to do volunteer advocacy work for the Alzheimer’s Association where she is a member of the organization’s national board.